The project try to approach a skin thematic in a plastic reconstruction of the place. The intervention requires an homogeneous proposal able to redefine the relation between the image of house and street. The location near by a highly frequented road inspired the wood boarding used as a noise shield frontage. 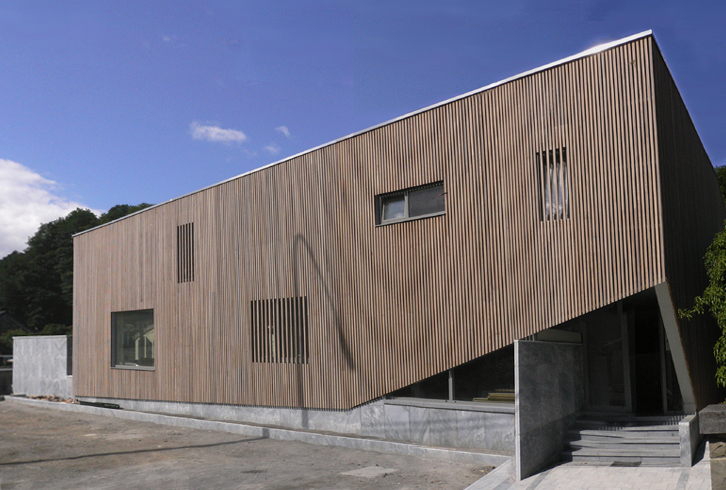 The open work made of thin plate of wood is used as a screen more or less translucent enfolding the building. The frontage lift up like a voile to create the principal entrance of the exposition hall.